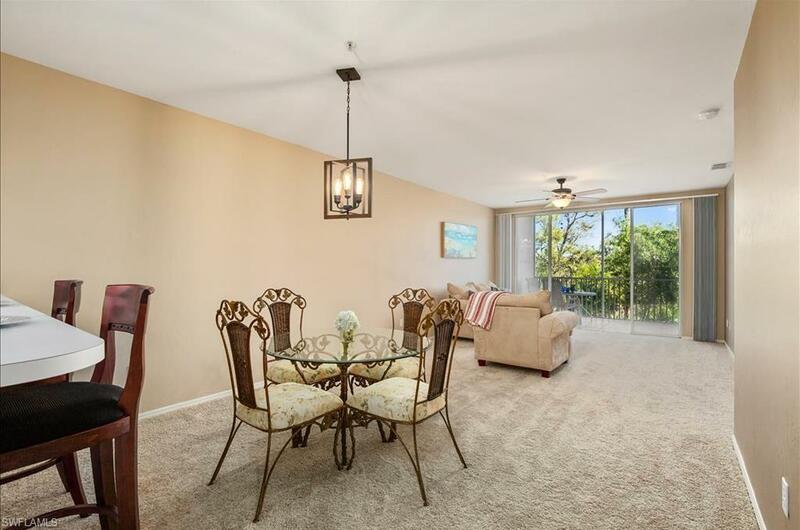 Recently updated and spacious 1 bedroom 2 full bath condo close to the beaches, Lakes Park, golf, shopping, RSW airport and Florida SouthWestern State College. NEW lighting, kitchen, bath fixtures, ceiling fans, carpet and accordion doors for closet housing your washer and dryer. Freshly painted walls and ceilings. Enjoy peaceful mornings and tranquil evenings on your private tiled lanai (23x8) which overlooks the lake and preserve. Large master bedroom with full bath and walk-in closet. Assigned covered carport included with this unit along with a secure private storage closet on the same floor as condo. 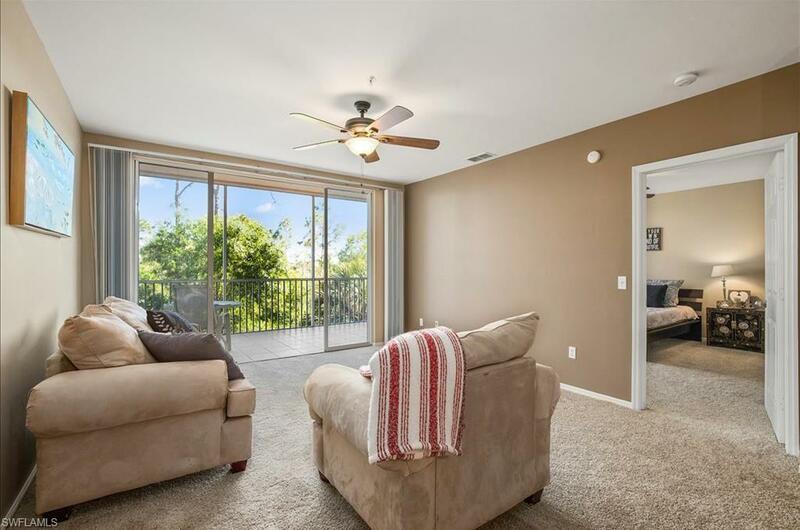 This condo is a 3rd floor unit near the elevator, storage closet and trash chute. Gated community features a clubhouse, pool, exercise room, tennis, pickleball & BBQs. Low HOA fees. 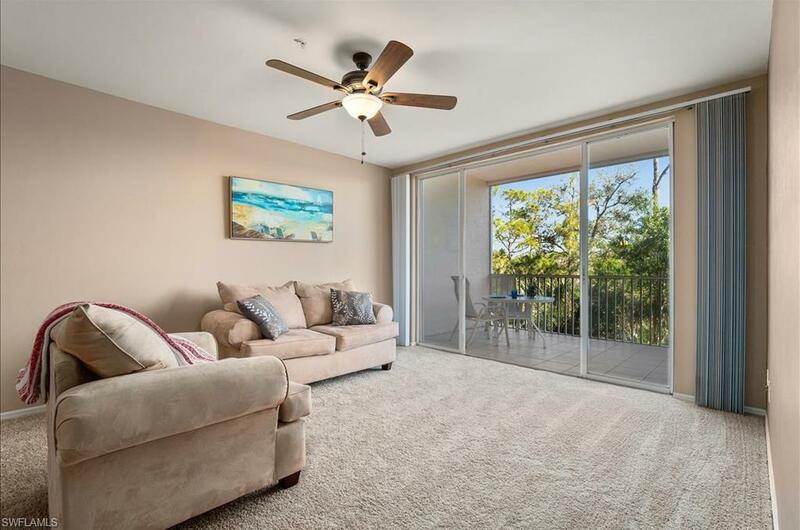 Enjoy the lakes and walking path which surrounds The Park at Lakewood. You'll find a public golf course across the street where residents can golf for $15. Sorry, no dogs or smoking allowed. 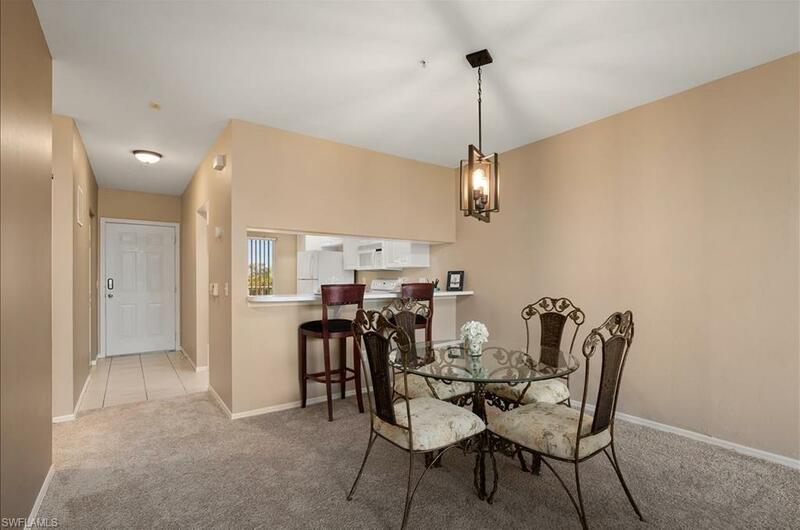 This condo is near everything youll need. Call today for your private showing! Listing courtesy of Lisa Sivertsen of Premier Palm Properties Llc.